Winter`s on its way and I`m guessing you already miss the spring with its green scents that awaken the senses. I thought that I could uplift your mood by introducing a few greenish perfumes to you. 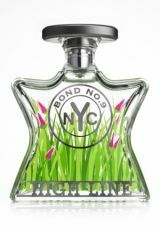 Green grass..hmmm...what would you say about High Line Bond No 9 Perfume? With its irresistible bottle, this one is aimed at capturing the beauty of the prairie wildness. Top notes consist of rhubarb, grass and bergamot, followed by a heart made of pink tulip, African orange flower, hyacinth and tincture of rose and ending with oak extract. Enigma by Alexandra of Markoff is an oriental woody launched back in 1972. Among its top notes, I might mention the use of aldehydes, green grass, coriander, bergamot and allspice, then the floral middle notes like rose, carnation and jasmine and base notes such as oakmoss, spices, amber, patchouli and also woody notes. Perfumes that contain fern extract are mainly addressed to men. Felci by L`Erbolario is an enticing aromatic fougere. 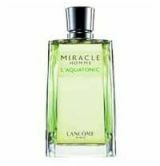 Lancome`s Miracle Homme L`Aquatonic is a citrus aromatic cologne that was launched in 2003. Top notes are violet, citruses and bitter orange, middle notes a mixture of rhubarb leaf, coriander and fern, while the ending blends together Brazilian rosewood, guaiac wood, cedar and vetiver. You may as well wear it during summer. 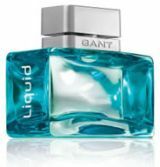 Gant Liquid by Gant is a woody aromatic fragrance launched in 2007 and it features notes like nutmeg, patchouli, violet, musk, pepper, lavender, tonka bean, melon, fern and Brazilian rosewood. Extreme Limit Rock by Jeanne Arthes is an aromatic fougere meant to be worn by an energetic man living life at full speed. Top notes are artemisia, fern and green notes, middle notes caraway, lavender and cinnamon, while base notes are vanilla, musk, sandalwood and tonka bean. 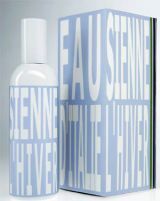 Sienne L`Hiver by Eau D`Italie is perfume suitable for both men and women, it is a floral green fragrance representing a city from the Italian region of Tuscany with its mysterious atmosphere in the winter time. It is a blend of fern, geranium, violet leaf, guaiac leaf, white musk, labdanum, but also cedar and, strange enough, papyrus. With its ingenious bottle, it will definitely make an impression among your other perfumes.